5 billion queries are made everyday on Google. Botify helps you build your content strategy based on what people are actually searching for, when they search for it, and where they search from, turning those queries into clicks and revenue. Harness actual user queries to discover how people are searching for your brand. Know what the trends and searcher behavior are like in your market, so you can create content that speaks to real-time demand. Speak to your customers, when your customers want to speak to you. Capture real rankings from Google Search Console to find out the exact positioning of your strategic pages, detailed by device and by country. Make business decisions based on authentic insights into the visibility of your content and digital assets. Identify searches that are branded or associated with your business, and then track the number of impressions, CTR, and other user behaviors tied to these queries. Uncover actual user behavior within the SERPs that measures your brand's real popularity. Ranking Is Not Enough, Get The Interaction! Base your content around the queries and intent of real customers who are searching for your brand. Find out exactly when and how you're losing rankings by monitoring changes over time and receiving alerts. 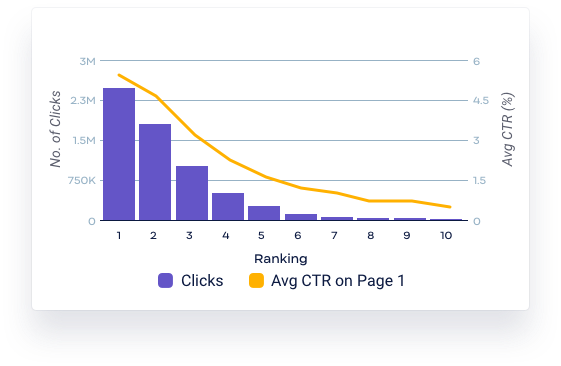 Control your CTR, and be clicked when people are seeing your results in the SERPs. 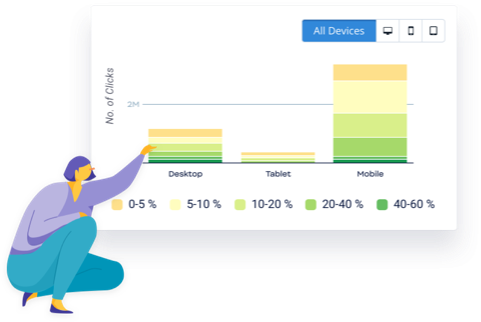 Produce device-specific reports that highlight ranking and traffic opportunities across mobile, desktop, and tablet audiences. Uncover CTR for all user queries and their associated pages. Tie technical SEO to page performance, content quality, and rankings to influence the factors that boost CTR. Uncover the intersection between content and technical SEO. Influence the technical SEO factors that affect content visibility, such as HTTP status code, internal PageRank. Go beyond rankings & base content on actual customer searches and CTR. See how with Botify! Now you can harness real user queries to learn unprecedented insights about your audience, optimize for search intent, create ideal user experiences, and boost meaningful organic growth on your website. 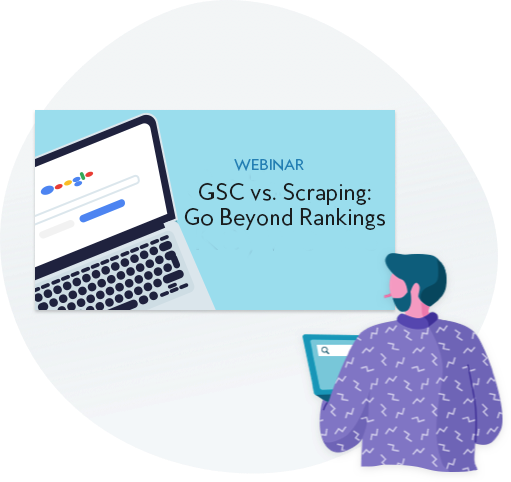 Watch our new webinar to understand how and why real user queries are edging out scraped keywords in bolstering your organic search strategy! See real use cases for trend detection, seasonality, and localized search queries that demonstrate the reach and power of real rankings.